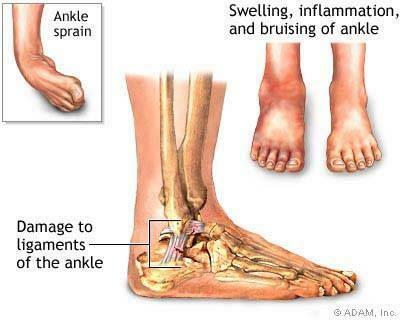 One of the most commonly injured sites in both basketball and netball players is the ankle. Due to the highly agile nature of these sports with quick direction changes, jumping and landing there is a lot of load placed on the ankle and proprioception needed to be able to perform these elements of these sports. These injuries commonly occur from plantar flexion (toe pointed) and inversion (toes turned in), but are not limited to this. Regaining full range of motion and strength through a combination of hands on physiotherapy treatment and home exercise programs is important. During this period it is important to also start on proprioception and balance exercises involving standing on unstable surfaces such as wobble boards and mini trampolines. It is important to not stop here!! Functional exercises are the key to returning back to sport and managing chronic ankle sprains. These should include slow introductions back into running, agility exercises, double and single leg jumping and landing exercises, and running on uneven surfaces. For some people it is important to start training these initially without the distraction of using a basketball or netball, then when feeling comfortable progress to including these. Depending on the chronicity of the injury will depend on the time frame at which you will progress.